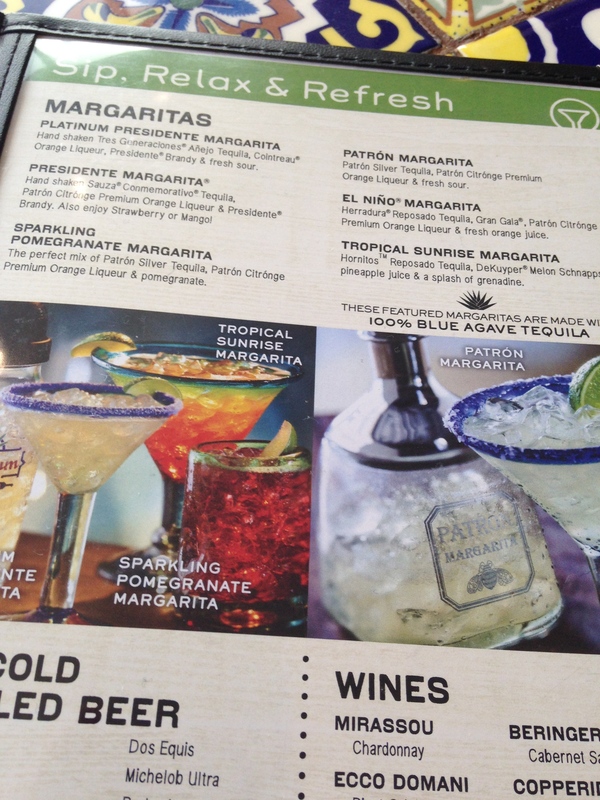 I’m reading a Chili’s Too menu at Bush Intercontinental Airport as the Bosnia/Nigeria World Cup game buzzes overhead and travelers from the states and the rest of the known world whisk in for a few sips of sacred water and then dash back out for their gates. I’m flying Spirit Airlines tonight which means I may never leave Houston or I may sit in a mix of scraps from any number of unclean flights or speedily traverse time and space to my destination, depending on what review of this famed low-cost carrier I peruse. In my bag I have Daniel Barber’s The Third Plate that I intend on devouring during my stay in Michigan, which will take me through Detroit, into Saint Clare Shores and Harrison Township where my older children live, up to Harbor Springs at the top of the lower peninsula where I’ll tend to my parents’ grave, and then back down again, finishing off in Comerica Park where I’ll consume mass quantities of baseball stadium food and cheer my heartbreaking Detroit Tigers. But this is where it all begins, a journey into a cuisine on the other side of where I usually garden, cook, and eat with Gabriela and Demian. It’s time to dive into the abyss. Magaritta on the rocks with salt paired with chips and salsa. Not a choice for diet, health or the good use of land, corn, wheat or the blue agave plant for that matter considering what might be in the mix. Yet, this is not the time to hold my nose. I’m about getting my drink on before I board a plane barreling through the night at speeds human beings are not meant to survive. 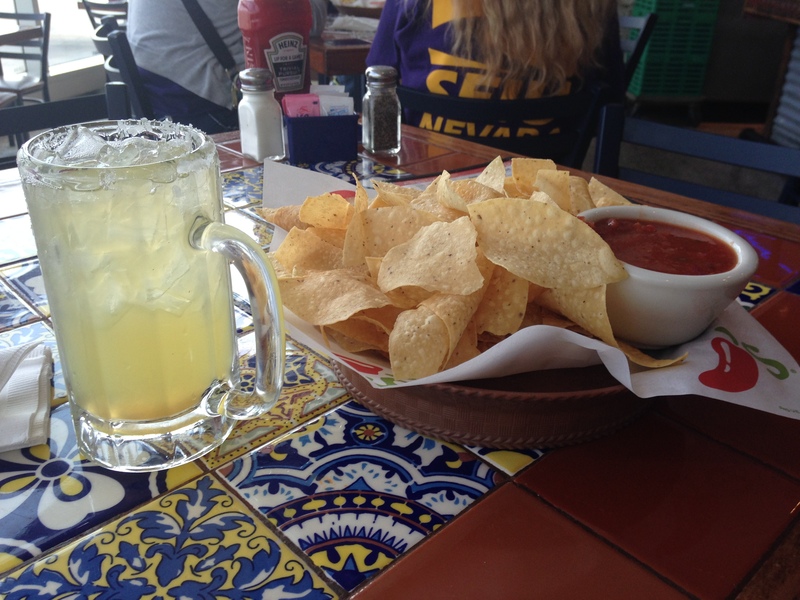 Anyway, I like this margarita, so I order another one and inhale all the chips with two bowls of salsa. This might not be a foodie adventure, but I think Anthony Bourdain would understand. In the midst of a restless humanity, I slowly begin to feel a familiar buzz as I use the secret powers I possess (triggered by certain beverages) and listen in on any number of conversations whirling about me, as I note with clear precision the movements of waiters, small children, and as I am almost deafened by laughter and shouts coming from two tables over. Happinness while traveling is not something I find impossible, but raucous laughter–that’s uncivilized. Can’t we all just sip or guzzle our drinks alone amidst the herd before we walk down chutes into metal tubes whipping across the skies, under constellations foretelling our doom? By this time, I’m out of Chili’s Too, sitting in a new viewing area for the World Cup. I think Nigeria is a goal up on Bosnia, but I really don’t care because I’m beginning to register my body has a new craving . . . meat. I smell grilled cow and chicken and realize all those chips have not abated my drive as a carnivore to consume slightly burned flesh of my fellow animals. But what will I do? I can’t walk back into Chili’s Too and order again. Those things just aren’t done. Instead, I wander Terminal A checking out gourmet choices: Fuddrucker’s, Lotus Express, McDonald’s, Panchito’s, Pizzeria Uno, Starbuck’s. Lotus Express entices me for a moment, but the photos look too bright, the noodles and pieces of chicken and broccoli too washed out. I walked into a Fuddrucker’s once with Gabriela and Demian. For airport fare, it wasn’t bad, but since I’ve already “done” Fudd, I don’t see a reason to return. Pizzeria Uno reminds me of high school pizza swimming in lakes of oil with solid, stiff archipelagos of pepperonis served by lunch ladies who never liked teenagers and never will. But then again, who does? I grew up in the seventies consuming countless burgers and french fries at McDonald’s, so again there’s no reason to return to the scene of the crime. God help me, but I choose Panchito’s. 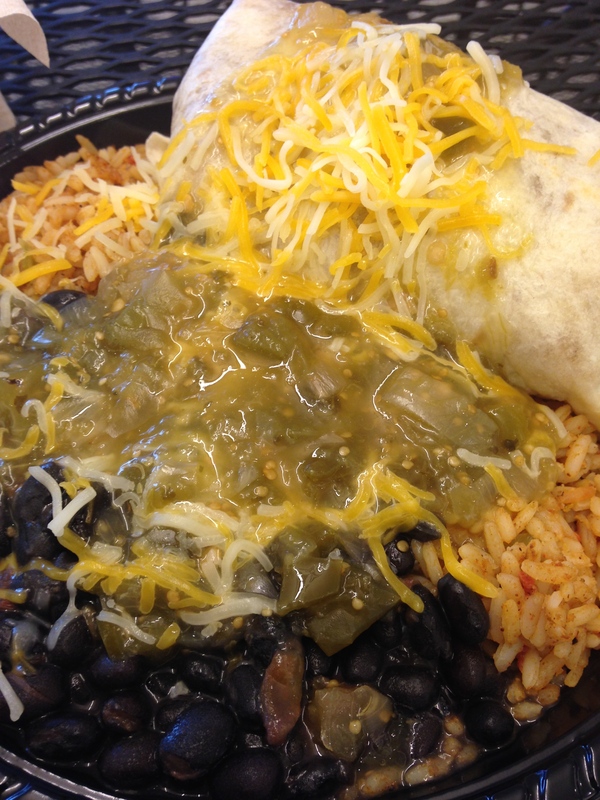 Beef burrito with black beans, rice and salsa verde. I pull the cutlery dispenser lever and receive one plastic fork. There are no plastic knives. This will be a struggle. I walk back over to the World Cup viewing area with my overloaded plate, sit down, and try to saw through the white flour burrito. Eventually, through a combination of cutting, squishing and pulling I extract some beef. Chew. Swallow. I slather up some back beans, rice and salsa verde. Chew. Swallow. I think Bosnia has almost scored again, I’m not sure. I’m completely focused on digesting most of my burrito before what I’m doing reaches my brain. Finally, a moment arrives where enough is enough and I surrender. I’m bloated and sleepy. Time to board the plane. Spirit Airlines has smaller seats than other airlines, they don’t recline, less leg room, but I paid a little extra for an aisle seat so I’m relaxed–easy access to the lavatory as needed. 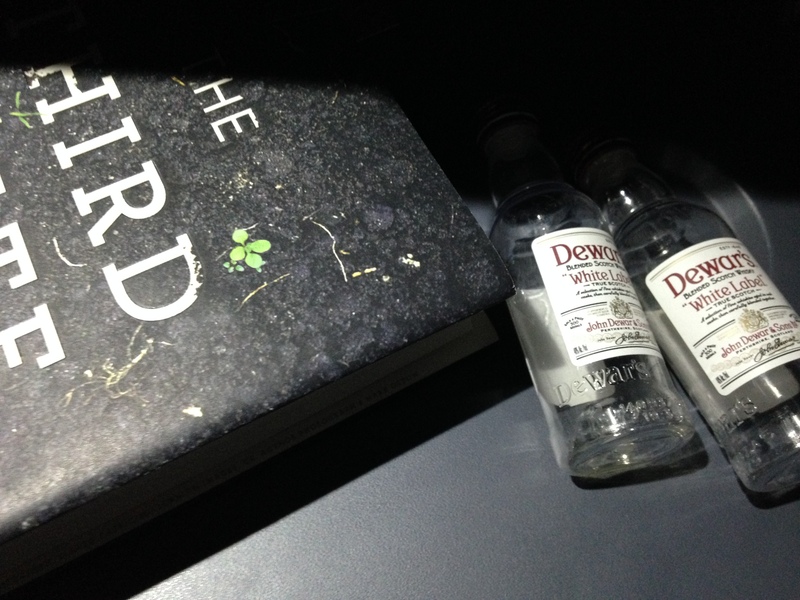 The smiling, cheerful flight attendant comes by and I purchase two Dewar’s and a bottle of water; later, I’ll top it all off with a coffee. I drink half of my water, twist open the first scotch and pour it all into a plastic tumbler with a scattering of ice. To celebrate the moment I put in my earphones and play Uncle Tupelo’s “Whiskey Bottle” on my IPhone. I sit in semi-darkness drinking about forty different whiskies blended together as my airbus rattles under the stars somewhere between the Gulf Coast and the plains of Ohio. Uncle Tupelo hailed from Illinois and in their brief existence defined alternative country and spawned Son Volt and Wilco, two great bands I’ve seen live in Houston. Coal mines, bars, black eyes and scrambling to get out of the Midwest haunt their songs. I soak in humans sleeping around me, then push on a beam of yellow light and open The Third Plate. If the future of delicious food is in the hands of farmers who grow nature and abide by its instructions, we ought to become more literate about what that means. By and large, we tend to calculate sustainability based on the surface level of agriculture. We take what is measurable (increases in the use of pesticide and fertilizers, inhumane conditions in animal feedlots) and push alternatives (buy organic, choose grass-fed beef). These things are easy to quantify. They are things you can see. This immediately makes sense, it’s what I’ve been reading in Berry, Howard, Jordan, Leopold, Pollan and Salatin. It’s what I’d already seen in Barber’s TED presentations when he visited Edouardo Sousa’s farm in Extremadura to see how he produces award-winning foie gras without gravage or the Veta La Palma fish farm in the marshlands of the Guadalquivir River where farming functions as part of an ecosystem. But what is a third plate? The first plate was a seven-ounce corn-fed steak with a small side of vegetables. The second plate represented where we are now . . . The steak was grass-fed, the carrots were now a local heirloom variety grown in organic soil . . . the striking thing about the second plate was that it looked nearly identical to the first. I immediately think of soups and stews, bones with a bit of meat, an array of greens I’m becoming more conversant with as we open each basket from Greenling. Maybe there is a sustainable answer. Then a voice breaks me from my revery announcing we are beginning our descent into Metro Detroit airport. I close my book, nod to the empty scotch bottles, and wait for the next adventure as lights down below come into view and for a moment I can not tell the night sky above from the night soil below. Previous Previous post: Why is it Important to Think about Food and Wine?